Fully engage all participants in remote meetings. With its 360-degree camera and software that tracks the active speaker in meetings in real time, RoundTable enables remote meeting participants to converse and share information as if they were physically in the same room. Make remote collaboration easy. 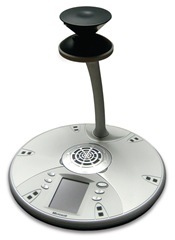 RoundTable plug-and-play functionality and full integration with Office Live Meeting make setup and use simple. Transform meetings into corporate assets. 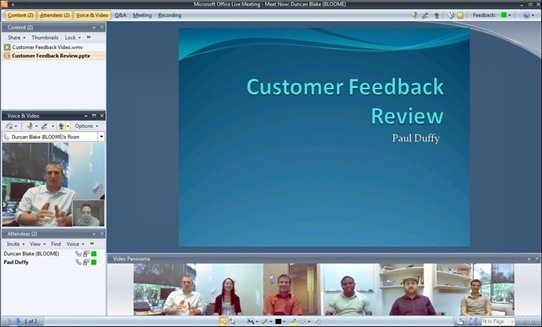 With RoundTable and Office Live Meeting, users can record meeting content for later use with one click. Users reviewing the content can at some later time see complete audio, video, and shared content, which enables them to fast-forward or rewind through the meeting on-demand.